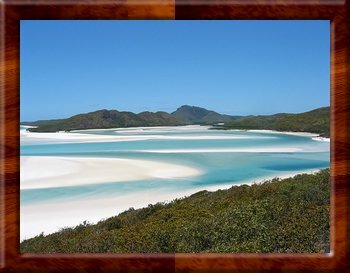 Shown below is an example of a rosewood border which can be selected with two mouse clicks: in the Image Effects window click the Add button > Image Overlay > Rosewood. For the image galleries titles you can either select a predefined type, like the file name, or take full control by using title tags. With title tags, like <FileSize> or <ImageHeight>, you can insert image file information like file name, size, date, image height, or any IPTC or EXIF field. 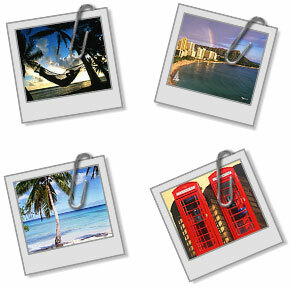 Arles will automatically replace the tags with the correct information when generating galleries. The Multi-folder Processing tool generates a complete folder structure in one click. In the Arles Image Explorer you can select a default image for each folder - which will be used to generate subcategory thumbnails - or specify a custom folder style, in case you want some folders to have a different look. There are many more features besides the ones mentioned above. Advanced users can, for example, take advantage of Templates, Custom HTML and Thumbnail tags for full control over the look and layout of the generated webpages. 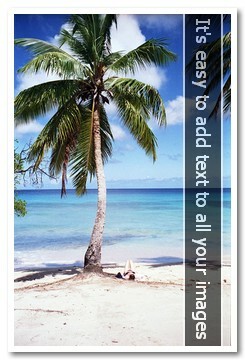 Or use title tags to automatically insert any image information in the generated galleries or on the image itself. 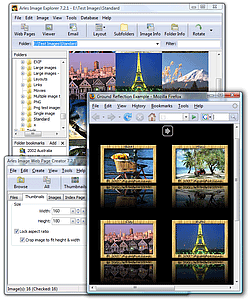 Creating galleries of websites is an other unique feature where Arles automatically downloads websites and creates thumbnails. But there is also an advanced multi-file renaming tool. 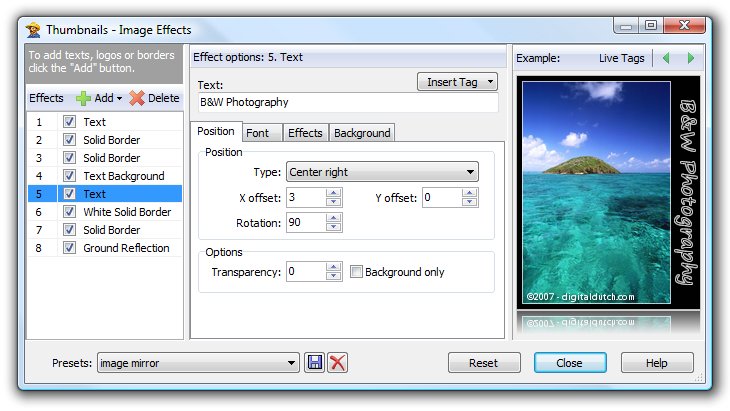 To experience all options download the fully functional evaluation version.